Soniah Kamal is an award winning essayist and fiction writer. 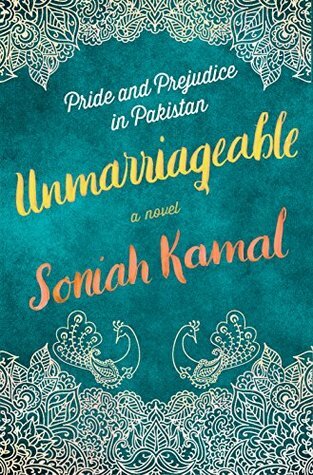 Her novel 'Unmarriageable' is a retelling of Jane Austen's Pride & Prejudice and is set in Pakistan. Soniah Kamals debut novel, An Isolated Incident, was a finalist for the Townsend Prize for Fiction, the KLF French Fiction Prize and an Amazon Rising Star pick. Soniah's TEDx talk, Redreaming Your Dream, is about regrets and second chances. Her work has appeared in numerous publications including The New York Times, The Guardian, Catapult, The Normal School, The Chicago Quarterly Review, The Missing Slate, BuzzFeed, The James Dickey Review, Scroll.in and Literary Hub, and has been widely anthologized. Soniahs short story Fossils, judged by Claudia Rankine, won the Agnes Scott 2017 Festival Award for Fiction and her story Jelly Beans was selected for The Best Asian Stories Series 2017. Her essay The Fall: How to Survive Your Fathers Imprisonment was nominated for a Pushcart Prize. Her short stories and essays have been shortlisted for awards including the Sequestrum Editors Reprint Award and the Payton James Freeman Prize and are recommended reads by VELA and Longreads. Soniah is the recipient of the Susan B. Irene Award from St. Johns College where she graduated with a BA Honors in Liberal Arts and awarded a Paul Bowles Fiction Fellowship from Georgia State University where she earned an MFA in Creative Writing. She has served as Fiction Assistant Editor for Five Points: A Journal of Arts and Literature and is Blog Editor for Jaggery: A Desilit Arts and Literature Journal where she started and runs the interview series Drunk on Ink. Soniah curated and edited Sugar Mule Literary Magazines South Asian issue No Place Like Home, a compilation of memoir, poetry and fiction from 47 writers from India, Pakistan, Bangladesh and Sri Lanka. Soniah is a member of the National Books Critics Circle, PEN America and the Jane Austen Society of North America. She has taught fiction at Oglethorpe University and teaches creative writing at the Etowah Valley Writers Institute, the low-residency MFA program at Reinhardt University. Soniah was a script consultant on the social-activist film Half Widow set in Kashmir. Hairy Potter is a collection of Soniahs weekly social satire column that ran in Pakistans national newspaper The Daily Times Sunday.